On this day 1915: A soldier committed for bigamy . . . 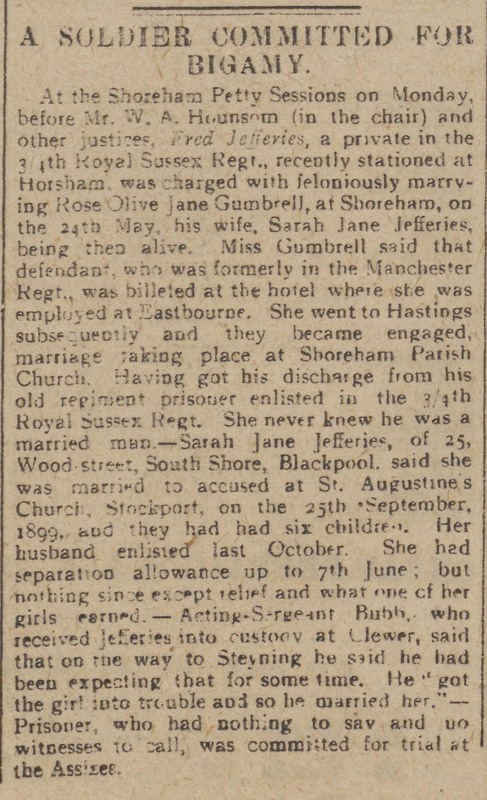 Private Fred Jeffries of the Royal Sussex Regiment was charged with ‘feloniously marrying’ Rose Olive Jane Gumbrell at Shoreham whilst his wife, Sarah Jane Jeffries, was still alive. Rose had met the defendant whilst working at a hotel in Eastbourne where he was billeted. 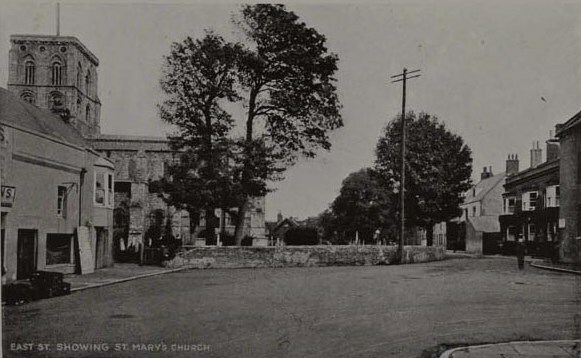 They were later engaged at Hastings and married at Shoreham Parish Church. She had no idea he had been married to Sarah since 1899 and had six children! Previous PostGuided walks: stories, sunshine and surprise ants.Next PostOn This Day 1914: Thousands of tents spring up on Shoreham’s Downs.